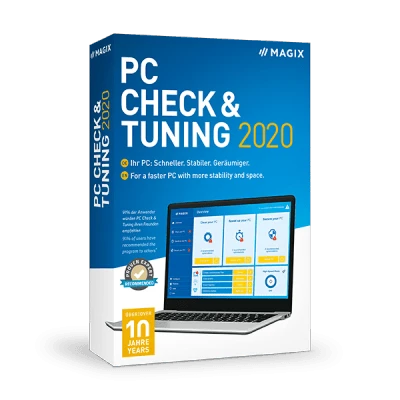 With PC Check & Tuning 2020, your computer is in good hands. Optimize your PC for improved performance, more space and enhanced security and enjoy impressive, long-term results. Become a part of the success story: Over 11 million optimized PCs in the last 11 years says it all. Give your gaming PC a turbo boost! 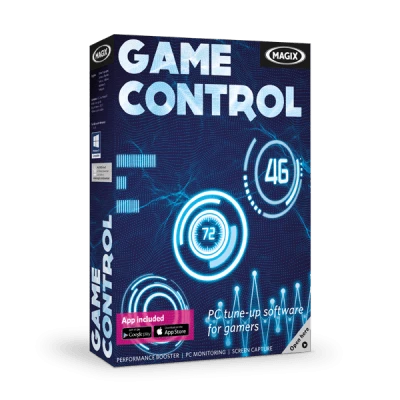 MAGIX Game Control speeds up your PC for improved performance when gaming. The free second screen app lets you keep track of all your important system parameters while in game and hardware-accelerated screen capture lets you record your best moments in full resolution directly in MPEG-4 format. Fully automatic correction of optical distortion and the fish-eye effect in your videos and photos. Perfect for pics and footage from any action cam or digital camera! Distorted horizons and borders can lead to unnatural looking and potentially useless photos. But thanks to proDAD Defishr V1, this no longer has to be the case. The program also offers a wide range of additional options for your recordings including zooms, axis rotations, virtual lens rotations and correction of converging lines! Note: This plug-in is only compatible with MAGIX Video Pro X (Version 6 and higher).